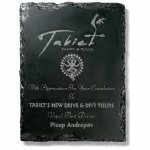 Real slate is cast in black resin for a dramatic finish you can hang on the wall! 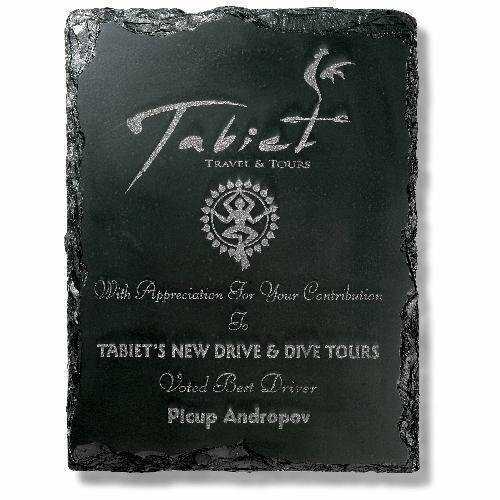 Why cast slate? Because it is a dream to laser engrave.